Numbers Game ended with a teaser for the second book in the series, Numbers Ignite. And, if you’ve read my review for the first novel, you’ll know I didn’t immediately pick up the second installment because I wanted to read something more ‘adult.’ Yeah, that didn’t turn out so well. I read a little bit of a lot of different things, and after flailing through most of Pandemic, I decided to grab a book that I would definitely enjoy. Naturally, the teaser for Numbers Ignite left me dying to read what happened next to Treena and Vance. After uncovering the seedy underbelly of a government that gives its citizens a rating which is literally blazened on their foreheads, Treena and Vance escape NORA. Numbers Game ended with Vance professing his love for Treena, and Treena realizing she felt the same about him too late. This novel begins with Treena crossing the desert to catch up with Vance, who has returned to be with his clan members. She gets bitten by a rattlesnake and is saved just in time by a stranger. Treena recovers from the bite among an underground civilization which strongly believes in peace. While she’s learning about and integrating into this peacekeeping society, Vance has been imprisoned by his clan members. As an extra twist, the governor of the valley his clan now lives in is the bad guy from the first book. I absolutely love that the reader gets an inside view of a few different nations in this future dystopian world. Usually there’s just the ridiculously oppressive government and then the outsiders. Rebecca has intricately woven together a number of factions with interesting political intrigue tying each one to the others. Instead of the characters aimlessly bumbling through the world, there is a clear plot line carrying the story forward. Treena is forced to make some tough decisions, and she doesn’t always get it right the first time. Meanwhile, Vance has to find a way to get out of a seemingly impossible situation while also attempting to protect his clan. I would have liked a little more interaction between the two main characters. However, there is a third installment. I’ll just have to pick it up to find out what happens next. 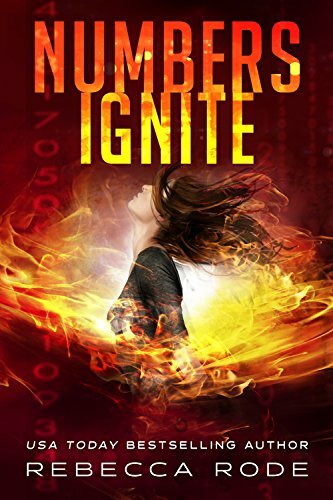 If you like political intrigue or determined characters who have to find their own way, you’ll love Numbers Ignite—although I highly recommend reading Numbers Game first. I haven’t really set myself a reading goal/challenge for this year, but I’m sure it won’t be long before I post my next review.